Today, 61% of North American and European enterprise information workers are choosing their smartphones for work either on their own or from a company-approved list. 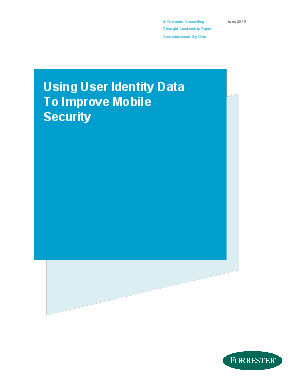 According to Forrester’s Business Technographics® Global Devices And Security Workforce Survey, 2014, 53% of employees are unwilling to make any kind of sacrifice to their user experience in the interest of heightened security. Read this report to learn more about the results.